The weekly crude oil data showed a huge drawdown of crude oil inventories of -12633K (vs -3788K estimate). 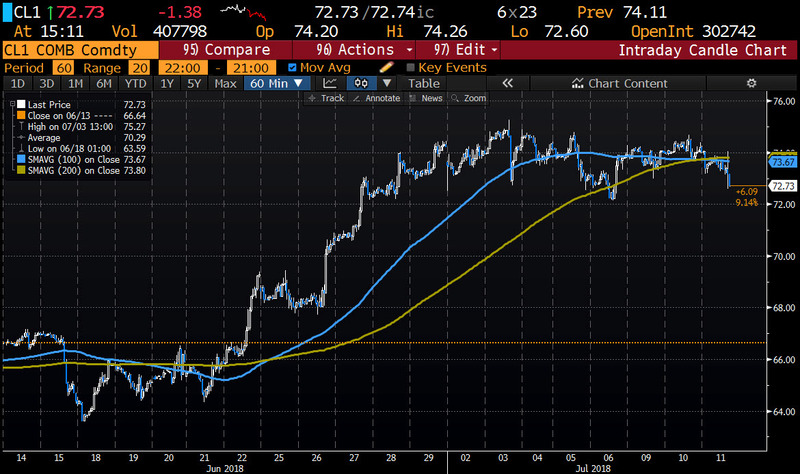 The drawdown sent the price of crude oil higher, with the price reaching $74.04 (from the session lows of $72.60). However, the rise could not be sustained and the price of the contract has since moved back below the 100 and 200 hour MAs at $73.67 and $73.80 respectively. The price is back down trading at $72.76. The low from last week comes in at $73.07. That would be a target on more weakness. crude oil inventories -12633K vs -3788k est.